With enriched industrial experience and knowledge, we are manufacturing and supplying our clients with a wide assortment of MS Reaction Vessel. We are engaged in manufacturing of the Reaction Vessels which is known for its efficient performance power, engineering, automotive and many other industries. FRP reaction vessels can also be used for the special purposes. 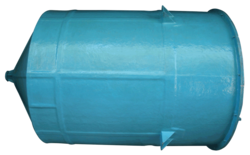 Complete reaction vessel assembly is also provided to hold the agitator, vessel and gear box assembly. GRACE™ [RANGOLI] offers Vertical Cylindrical, Decent, Conical and Flat Top Bottom type of Reaction Vessels [Reactors] and Mixing Vessels. We heat-cool fin industries are engaged in manufacturing of the reaction vessels which is known for its efficient performance power, engineering, automotive and many other industries. Frp reaction vessels can also be used for the special purposes. 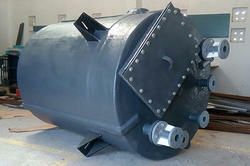 Complete reaction vessel assembly is also provided to hold the agitator, vessel and gear box assembly. We are the leading manufacturer and supplier of Storage Tank to our customer.